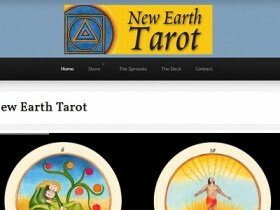 The New Earth Tarot has been designed as a map for personal and spiritual growth, an instruction manual for creation and manifestation, a possible therapeutic method, a tool of divination and a reference source for metaphysical knowledge…. and if that is more than you bargained for, it is also designed for you to have fun with. via ZPi | AFDB Effectiveness. Lets say some malevolent group — the government, powerful corporations, extraterrestrials — really is trying to read and/or control your thoughts with radio waves. Would the preferred headgear of the paranoid, a foil helmet, really keep The Man and alien overlords out of our brains? via Tin Foil Hats Actually Make it Easier for the Government to Track Your Thoughts – Matt Soniak – The Atlantic. CISPA is the New SOPA Earlier this year, strong public opposition led by several prominent websites forced Congressional leaders to cancel votes on two bills known in Washington as “SOPA” and “PIPA.” Both of these bills threatened search engines and websites with possible shutdowns if the Justice Department deemed them insufficiently cooperative with our phony “war on terror,” or if they were merely accused of copyright infringement. Fortunately the American public flooded Capitol Hill with phone calls and Congressional leaders dropped both bills. via CISPA is the New SOPA. 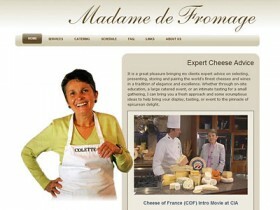 Ever try to read an article or blog post online and have trouble seeing through the ads an moving images? Maybe the color scheme is annoying or text size is too small to read comfortably, but the article looks like it might be worth reading? Well, now you can make reading online easier. I’m a big fan of Evernote and was excited to find a replacement for Readability, Evernote Clearly. After you install your Chrome (or Firefox) extension, you just click on the Clearly icon and the page you’re looking at transforms into something much easier to read. A quick click and your back to the original. You can even save them to your Evernote account and access them later or from other devices. As it turns out Readability has made some changes since I switched to Evernote Clearly. It also has extensions for Chrome and Firefox, and it’s now being offered for free. Maybe the rendering speed has even increased. Readability also offers something Clearly doesn’t, export to your Kindle to read there…and it free to use. Looks like there are two choices now. Functional Ceramics and Sculpture – Sebastopol, California. (My favorite plates, bowls, and cups). This site was created to allow the artist to add photos, text, and make changes with as little web design learning as possible. 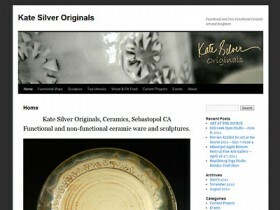 I think the site is almost as beautiful as Kate’s ceramics…okay, Kate’s work wins hands down, but the site is pretty nice. My tea cup feels as though it was made for my hand. Beautiful and functional. I love all my pieces! Don’t panic. Do you know where your towel is? If you do, then you must be a really hoopy frood. Today is the day fans around the globe celebrate the works of science-fiction and comedy writer Douglas Adams. Adams was an English author responsible for several best selling titles, but his most well known book is The Hitchhiker’s Guide to the Galaxy. 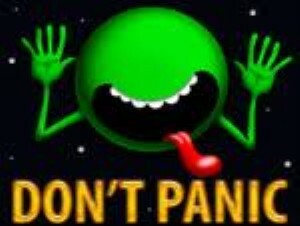 via Douglas Adams Fans celebrate Towel Day | Geek.com. Looking for something to do this Saturday? Two Loose Pegs is playing Irish music for a fundraiser for Pam Torliatt on Saturday March 20th. Come see us and enjoy some great Irish music! TwoLoosePegs.com has the details…and you can probably get tickets at the door if you haven’t ordered them in advance. Be sure to say Hello when you get there!